Some of you may have noticed that I have, more than once, written about just how ineffective cholesterol-reducing drugs (including statins) are for preventing heart attacks and stroke and saving lives. Taken over several years, the data show that the vast majority of people who take them will simply not benefit from them (and have a significant risk of side effects too). You can read a couple of recent posts regarding these facts here and here. Yesterday, I was reading something about blood pressure – another ‘marker’ (along with cholesterol) we’re kinda-obsessed with in medicine. I’ve been aware for some time that salt reduction (vigorously promoted by most Governments and relevant health agencies) doesn’t appear to have any miraculous beneficial effects, but what about drugs for blood pressure so-called antihypertensives? Do these medications deliver on their promise? I decided to have a look at the research. First thing, I found unearthing relevant data surprisingly difficult. Certainly, there is much less here than we have regarding cholesterol-reducing strategies, and statins in particular. But I did manage to find one quite-recent meta-analysis of 147 trials that has a wealth of data we can sink our teeth into . Overall, the evidence shows that a reduction of systolic blood pressure (the higher of the two blood pressure values) of 10 points (mm of mercury) reduces the risk of heart attacks by 22 per cent and strokes by 41 per cent. Pretty impressive numbers on the face of it. Let’s take someone in their mid-60s who is diagnosed with raised blood pressure. Let’s say it takes two medications to bring their blood pressure down to an acceptable level. The data in the meta-analysis tells us that this would reduce the risk of heart attack by about 40 per cent. Stroke risk reduction would be around 50 per cent. Let’s look at heart attack risk reduction first. The authors tell us that the 10-year risk for heart attacks in England and Wales is estimated to be about 10 per cent for men and 5 per cent for women. So, for men, a 40 per cent reduction in over 10 years takes their risk from 10 per cent to 6 per cent. In other words, over 10 years their risk has fallen in absolute terms by 4 per cent. Each year, the risk has fallen by 0.4 per cent in real terms. From this data, we can calculate the ‘number needed to treat’. So, how many people do we need to treat with two medication for a year to prevent one heart attack in this scenario? To get this figure we divide 0.4 into 100. The NNT is 250. The same calculations for women reveal and NNT of 500. Now let’s look at stroke. According to the British Heart Foundation, strokes are more common than heart attacks (about 25 per cent more common), and remember the relative risk reduction would be expected to be higher (about 50 per cent rather than 40 per cent). However, when we factor this in we still get astronomical NNTs (about 160 and 320 for men and women respectively, according to my calculations). Even if we extend these NNTs over time, they still are not impressive. Taking the best numbers here (stroke prevention in men), an NNT of 160 over one year equates to an NNT of 32 over 5 years. So, of 32 men treated, one will avoid a stroke, but the other 31 will not. Which means 97 per cent of men taking two medications over 5 years will not benefit in terms of stroke prevention. Now, of course, these slim benefits need to be weighed against the potential adverse effects of antihypertensives (of which there are many, unfortunately). I not a naturally negative person, I think, but it seems to me that the data on antihypertensives is similar to that on statins. In real terms, the benefits appear to be much smaller than we’re led to believe, and the medications carry real risks too. Despite all of this, the authors of the meta-analysis are uber-enthusiastic about antihypertenives and urge us to medicate all people over a certain age irrespective of their blood pressure. They concede that some would say this is ‘medicalising’ a population, but personally have no such concerns. In fact, they suggest that it no more ‘medicalising’ people than, say, vaccinating them or having them take the contraceptive pill. I suppose it should be borne in mind that the authors of the meta-analysis are Professors Malcolm Law and Nicholas Wald, who own patents for a multi-medication pill (the ‘polypill’) that includes (perhaps predictably) antihypertensives. 40 Responses to Just how effective are blood pressure medications? Can you give some examples of the adverse side effects that you mention? I am on gopten 2mg and have been for a number of years. My blood pressure readings have been excellent while on it and I’ve since lost weight and increased exercise. I’ve found most Doctors very reluctant to reduce or eliminate my bp medication which is something I would very much like to do. I heard about a study recently which suggested that people with low blood pressure were more likely to die of heart failure. My blood pressure has always been on the low side and has fallen significantly since I lost weight. What is the truth behind this particular headline? It disappeared from the media pretty quickly, I guess because it didn’t fit with the usual theory. I have always been told that low blood pressure is absolutely fine and healthy as long as I don’t have symptoms. Could we be in danger of medicalising people into dangerously low levels of blood pressure? Thanks for doing the legwork! I take Ramipril 2.5mg and also lansoprazole 15mg.Should I carry on taking them. One of the side effects I get is an inablility toget an maintain an erection. I’m 67. I’m 23 now, and I was medicated for high blood pressure from 18-21 (Amlodapine, 10mg). My blood pressure was in the region of 130/75-145/80 (However, interestingly, if my doctor even mentioned blood tests, it’d drastically jump within a matter of seconds – If I even see a needle, I’ll run in the opposite direction). There was never any discussion, or even an attempt, to find the cause. Quite simply an 18 year old man having meds thrown at him (and the worst thing was, the decrease in my blood pressure was minimal, but they kept me going with them). I eventually lost 3-stone (using the advice of Dr John), adopted a low-carb diet (but fruit such as apples and bananas are occasionally on the menu now), and decided to make tailored trial-and-error changes to my lifestyle that would make me a healthier person. I read a lot about electrolytes and other minerals (sodium, potassium, magnesium, calcium, chloride) and their effect on blood pressure and noticed that, looking at my overall diet, it was likely that I was taking in far too much sodium (innocently, I might add), but not enough magnesium or potassium. I intervened, and found that not only I felt a lot better, but my blood pressure actually decreased (magnesium supplementation had the most dramatic effect). If my blood pressure rises, I’ll have a tea spoon of cream of tartar in a glass of water with lemon juice once a morning for three days, and up my leafy green vegetable intake. I wonder: Why wasn’t I told this to begin with? If I can find this out with a little bit of lay-man research, why can a doctor not (or importantly, why don’t they already know)? Or is it all a bit too “hocus-pocus” for most doctors? I was given generic advice about losing weight and eating healthier – but that was centred around eating a good grainy breakfast, cutting back on fat (especially dangerous saturated fat, but not polyunsaturated fat), and eating more fibre from starchy fruit and vegetables throughout the day. I’ve realised this advice was not only useless, but it was the driving factor in years of daily uncomfortable stomach cramps. V. interesting, thank you for your work. I was told Jan 2011 that my 180/110 meant I would be on pills forever, and that lifestyle change wouldn’t be enough. I changed my diet — increased fat intake, buy nothing processed, cut out grains (occasional sourdough). Dropped the medics in August. No exercise. Dropped 28lb. This morning I was 135/80. One of the best things I read was that your blood pressure is as high as it has to be for the blood to do its job: taking oxygen (etc.?) to cells and removing stuff. (This gelled with my own observations when my morning readings were horrendous, that a few forced yawns and my readings would plummet (temporarily) to 140/80 even faster than with 10 deep breaths.) So if you chemically reduce blood pressure, it seems you are screwing with its proper function. Dr. john Briffa, thanx for the educational “tour” on antihypertensives and their benefits (or lack of), but find the “tour’ incomplete in that you’re not providing us (those already on antihypertensives) with an alternative to controlling our raised blood pressure. Your article also fails to list some of the potential adverse effects of these antihypertensives. Kindly enlighten (perhaps in your next article). Found a link which explains the idea. it seems that those of us (like me) who suffer from these headrushes could be susceptible to heart failure. Once I ‘had’ to take anti-hypertensive medication. Starting eating low-carb (Atkins) later made this not necessary. While I was still on medication the potassium content of my blood became alarming low to the point I should take potassium tablets. Wonder what potassium does in the blood? Regulating your blood pressure! I concluded then that once you take anti-hypertensive medication your bloodpressure can never be controlled by your own body. Potassium is not the only necessary mineral that is driven out by those medicines. I’ve been thinking about the statin v’s anti-hypertensive parallels for a little while, and have really struggled to find definitive studies. I had just assumed that the studies were so old that they were not available in our electronic world, the oldest studies I could find were from the 50′s and 60′s and just seemed to assume BP reduction was good. 1/ Exercise causes lowering of BP by inducing “cardiac insuffuiciency” basically fatigues the heart muscle excessively. So lowering BP probably isn’t a fantastic reason to exercise. i.e. the BP is high to “force” blood into the oxygen starved regions ? Thanks for this analysis. it’s the first I have read about the lack of real risk reduction with bp meds. Your post really hit home because shortly after we returned from the LC cruise, my girlfriend’s mom (just turned 70 yesterday) made the trek from Japan to Boston for a visit. One day after her arrival she suffered a stroke. After several days in hospital, she was put on a statin, low fat, low salt diet with two bp medicines. I have to admit, we were so worried about her high bp (175/103) and another stroke that we have been monitoring her closely and working with her doctor to up her doses. I have heard that LC diets lower bp and I read the Yancy, Westman, et.al study (Arch Intern Med. 2010;170(2):136-145. doi:10.1001/archinternmed.2009.492). Do you know of other studies that corroborate those results? it would be great for her to be able to limit the meds if she could regain bp control with diet. Other than heart attack, is having untreated high blood pressure inherently dangerous? Thanks for reporting on this study. I am pleasantly surprised to have some estimates of NNTs associated with anti-hypertensives. Essential hypertension seems to lead to essentially high pill-eating!! I think the value I get out of this website and the emails is simply this…many doctors are challenged with keeping people alive who are living poor lifestyles (bad food, no exercise, etc.) so they are forced to retreat to prescribing medications to try to keep their patients alive – and the doctors get trapped there. 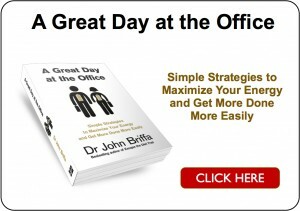 What Dr Briffa is doing is trying to elevate people’s (doctors and patients) thoughts around living better. Part of this involves how doctors might need to reevaluate the “need to medicate” levels that they are working from and start to think for themselves based on the person in front of them, not what the general population needs. He is noting that they and their patients are making decisions based on gross suppositions created by random reports and other kinds of supposed newsworthy papers. He is saying correlation does not prove causation or dependence. When I went on a low-carb diet and reduced or eliminated any sugar and lost 50 pounds my doctors almost didn’t know what to do with me and resisted my efforts to reduce or eliminate medications. Dr. Briffa is urging doctors and patient to think for themselves. Nothing wrong with that. Your analysis is incomplete at best. An old person with stage 1 essential hypertension might indeed not live much longer (or better) with antihypertensive meds than without. But if you look at younger people, and those with worse hypertension, the benefits are obvious. Think about the risk of stroke and heart attack risks over the next 50 years, instead of the next 10 years. Think also about the stroke and heart attack risks for a reduction of 50 mmHg instead of 10. And what about kidney failure (hypertensive nephropathy) and blindness (hypertensive retinopathy)? Much recognition and gratitude is due author Gary Taubes for tracking it down and bringing it to the public’s attention in his book, Good Calories, Bad Calories. His account reads like a spellbinding detective novel, and as such, it follows the evidence and takes care to question every unsubstantiated assumption. His research is thorough and convincing, making it all but impossible for any open-minded reader or investigator to doubt his ultimate conclusion: That something in modern diet other than fat or sodium is responsible for today’s high rates of hypertension and cardiovascular disease. And that something is the refined carbohydrate. Benedict was referring to the weight loss which occurs in the first few weeks of any diet that restricts either calories or carbohydrates (especially the latter). This initial weight is mostly water, not body fat, as many veteran dieters know. What is less well-known is that a corresponding effect of this water loss is a lowering of blood pressure. By the early 1970s, researchers concluded that this water-retaining effect of carbohydrates was due to the insulin that they stimulated the pancreas to secrete. This in turn forced the kidneys to re-absorb sodium rather than excrete it. (This made sense because insulin levels are generally higher in people with hypertension than in normal individuals.) So widely accepted was this notion that by the mid-1900s, diabetes textbooks were discussing the likelihood that chronically-elevated levels of insulin were causing hypertension in Type 2 patients. Unfortunately, no one considered this might also be true for non-diabetics. Today, it is a well-demonstrated phenomenon that a low-carbohydrate diet causes the excretion of water (causing a reduction in blood pressure), and conversely, that carbohydrate consumption leads to retention of both salt and water (which elevates blood pressure). Therefore, it is ironic that doctors advise overweight hypertensives to lose weight in order to reduce their blood pressure by adopting the standard low-fat, high-carb diet. This is self-defeating, not only because low-fat diets have been shown to be effective ways to lose weight, but also because consuming more carbohydrates will cause water retention and an elevation of blood pressure. This is one reason hypertension appears so frequently with diabetes. But it should be remembered that high-carb diets (which featured consumption of sugar and refined carbohydrate foods, such as bread, baked goods, snack foods, and sodas) also stimulate elevated levels of insulin even in people without diabetes. Furthermore, these early researchers found that elevated insulin levels cause hypertension, independent of any of the risk factors. How effectively your body uses insulin is directly related to your risk of developing high blood pressure, reported researchers from Wake Forest University Baptist Medical Center. “We found you can predict who’s at higher risk for developing high blood pressure based on their insulin resistance,” said David Goff Jr., Ph.D., M.D., the lead researcher for the Insulin Resistance Atherosclerosis Study (IRAS) conducted in 2000. Numerous other studies, before and since IRAS, have confirmed this connection. Sugar and hypertension. Excess sugar consumption in hypertension go hand-in-hand, and the number one culprit is sodas and sweetened beverages. Researchers tracked the diets of nearly 2,700 people and found that those who drank sugar-sweetened beverages had higher blood pressures—both systolic and diastolic numbers. The highest blood pressure levels occurred in those who consumed the most fructose and glucose, which are both found in HFCS. Another study examined the nutritional data of 4,500 people, none of whom had hypertension. But after consuming 74 grams of HFCS a day (the equivalent of two and a half cans of soda), they had a 77 percent greater risk of having blood pressure level of 160/100 or higher. And the negative affect that sweets have on blood pressure happens rather quickly. One study found that men eating a high-fructose diet began to see their blood pressure numbers rise after just two weeks. Since the average annual soda consumption in the US is about two cans per person per day, according to the National Soft Drink Association, this means that vast majority of hypertension in a country could be eliminated if people simply swore off soda (and beer). HFCS and hypertension. Studies conducted by Dr. Richard Johnson, professor of medicine at the University of Colorado, where he runs the kidney division and is charge of blood pressure research reveals that HFCS (and all sugars, in general) breaks down into uric acid, a harmful waste product, immediately after ingestion. Elevated levels of uric acid are usually associated with gout, but it also is recorded in people with hypertension and kidney disease. Uric acid drives up blood pressure by inhibiting nitric oxide in your blood vessels. Nitric oxide helps blood vessels maintain their elasticity and facilitates their expansion (dilation). Thus, suppression of nitric oxide by HFCS consumption leads to increases in blood pressure. This is confirmed by 17 studies which demonstrate that elevated uric acid levels lead to hypertension. Too much uric acid is also is a factor in kidney disease, insulin resistance and diabetes, obesity, fatty liver disease, elevated triglycerides and LDL, and cardiovascular disease. But if you look at younger people, and those with worse hypertension, the benefits are obvious. Please provide the data here. It’s not good enough to say the benefits are ‘obvious’. Younger people may enjoy greater risk reduction for a given lowering in blood pressure, but their risk is lower too which diminishes the real benefit. Think about the risk of stroke and heart attack risks over the next 50 years, instead of the next 10 years. The reason I mentioned 10-year risk in the first place is because this is the precise length of time the authors used. We can think longer term if you like, but we’ll also have to factor in risk of side-effects over this time period too and the morbidity that can come with them. We’ll also need to consider that many will default from their medication because, well, the medication simply does not suit them. Think also about the stroke and heart attack risks for a reduction of 50 mmHg instead of 10. Are you serious? When, in practice, do we ever see a reduction in blood pressure of 50 mmHg? Answer – hardly ever. With two medications you’d expect a reduction of around 15 mmHg. The data show that depending on starting blood pressure and number of medications, the range of reduction is 5-30 mmHg. What the heck are worryingly high numbers? CO Q10 is great for normalising blood pressure and it has a whole heap of other positive benfits too. Some have asked why don’t more doctors know these things? well I am sure Dr Briffa wouldn’t have know either if he hadn’t started asking why his patients didn’t seem to get better on prescribe medications and toed the party line by never investigating or continuing to look for answers. I’d say there are a lot of medical people out there scared to do other than what they are allowed to do, so they don’t look for alternatives and it is easier in the end to be the drug pushers the medical schools and big pharma want them to be. All I know is that in all my years of investigating health issues is that ‘drugs’ only work on symptoms not the cause of the symptoms and as such never cure and that we have all become lazy and don’t use our brains enough to question what the so called authorities tell us is so. This info on antihypertensives is so interesting. I think a lot of people with high blood pressure just assume they’ll take the drugs and that will stop them having a heart attack or stroke. My opinion is that people with high blood pressure should take more responsibility for their health and make diet and lifestyle changes first, before turning to drugs. Your post has only strengthened this opinion! Thanks for starting the debate on bp medication. If you can, please follow up with an in depth look at the alternatives and give us your thoughts. I am now concerned that having taken an ace inhibitor for a few months my body’s own ability to regulate bp might have been disrupted. I have the sense that I have been processed by my GP (who barely knows me) in a most impersonal way and intend to question NHS and GP surgery guidelines on procedure. I suspect a strong element of ‘covering their backs’. what is Dr B’s opinion of drinking beetroot juice? I have been for a couple of years and the last reading in Jan had gone down from around 160 to 135. I was getting more exercise in that period though, but thats now difficult due to back problems since Jan. Also I noticed little black spots that would appear when looking up at a bright sky disappeared by last autumn. Why always blame the patient? Fat people are lazy & gluttonous; those with high blood pressure are likewise irresponsible and lazy. How useful is this to anyone? What does the moralizing tell us about cause or treatment? My husband is 30 years old. He has 8% body fat, is 135 pounds at 5’7″ in height, swims laps in the Olympic pool for 3 hours a week, and registers 2.4 on a blood ketone meter. In short, he lives just as Dr. Volek would suggest any low-carb athlete should. We have been strictly low-paleo for a year after moving over from a Weston Price-style diet (yes we used to make sourdough rye bread and with all the soaking, sprouting, etc 1 loaf took about 6 days to make – so obviously we never ate much of it). Now we no longer eat dairy, beans or grains of any kind. We make every single meal at home and buy all our food from local farmers, except for the grass-fed butter. We diligently supplement fish oil, Vit D3. Despite this, my husband’s pressure stays at 145-160 over 115-120. His resting pulse rate is 88. Two weeks ago his pressure spiked to 190/125 and he fainted; I rushed him to the doctor. Since that doctor is at the world famous Stanford hospital, he received full blood testing and ultrasound. We have discovered his mineral ratios are perfect; his kidneys are perfect; his bladder is perfect; his adrenals are perfect; his last hormone tests are perfect. His sodium intake is 1600mg a day. He meditates, practices breathing/biofeedback exercises 15 minutes a day, engages in hand grip training, and takes a large number of supplements now such as CoQ10 and hawthorne, none of which have made the slightest difference. What more would you have him do? Is anyone’s diet and lifestyle anywhere near as dialed in as his? Why blame him? Why do we always blame the patient instead of admitting what we do not know? We just have to admit that most cases of high blood pressure absolutely have no known cause. It could very well be a brain disorder of regulation – there’s just something wrong with his brain stem. Our last non-drug option is the NUCCA treatment. After that, drugs will be our only path, as spikes to 190 that cause him to pass out and faint obviously can’t be allowed to continue. I respect you Dr. Briffa for looking at the science and questioning the drug treatment. But what else would you have us do? If you have a plausible cause or suggested treatment, Dr., please offer it. Thanks! Others, please stop moralizing. (iRememberWhen) I said my opinion is that people with high blood pressure should take more responsibility for their health and make diet and lifestyle changes FIRST, BEFORE turning to drugs. Let me clarify – so many people have largely preventable lifestyle diseases such as type 2 diabetes, high blood pressure and high cholesterol which are often due to eating bad food, being overweight, drinking too much alcohol and living a sedentary life. I just think in THESE cases, people need to take some responsibility for their condition and make some diet/lifestyle changes to try and improve their condition rather than just expecting to be given a magic pill. Obviously if you have tried to (or already do!) eat better and be more active etc and this hasn’t helped, you SHOULD consider medication to treat the condition. You can’t cure everything by yourself. If you need medication, you should probably take it, if you can do something to help yourself first, or in conjunction with medication, I think you should try that. 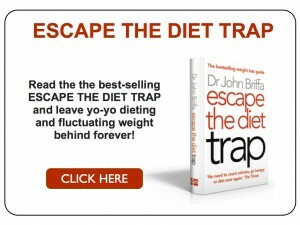 I too think Dr Briffa has overstated his case. I know of several people who died very young because they would not take their hypotensive medication I was taking 2 items for hypertension but since going low carb, I need only one of these items and my BP is around 125/75. If I gave up my favourite ‘food’, alcohol, my BP would probably become normal without the pills, but hell, I need one pleasure in life! For those with the will, altering lifestyle can reduce BP but not for all. Some may already have renal damage or renal artery stenosis which leads to a vicious cycle of ever rising BP without medical intervention. Most people are too lazy/unmotivated/addicted to their diets to do anything about it and prefer the easy option of medication. I send, or used to, numerous items of information on health and diet to my arteriopath father, but he takes not a bit of notice. In my experience the modern meds have few troublesome side effects, including my own personal experience, thus they are an enticing proposition for many. The problem for blogs like this is the old issue of “preaching to the converted”, I suspect. There certainly seems to be a growing body of evidence that sugars and carbohydrate rich ‘foods’ are a health hazard. However there are far too many people on the planet, who are far too busy chasing the dollar for us all to switch to a paleo/hunter-gatherer diet. Only agriculture can sustain the current levels but perhaps not for long. We are all doomed. Fraser was right! One question I have is the absolute danger of high blood pressure itself. I understand that high blood pressure can lead to congestive heart disease, where the heart actually changes structurally (enlarges) from years of doing extra work. Beyond that though, isn’t high BP more a symptom of reduced flexibility and ability of the artery to stretch under load (hardening)? I wonder if the BP medications are actually doing something to change that, and that is what leads to reduced mortality. In other words, hypertension is a symptom of underlying structural problems (which themselves would lead to heart attacks). Unchecked, hypertension can lead to congestive heart disease as a direct result of the pressure. Other maladies associated with high blood pressure are caused by the underlying problems. I would say you need to look at your chemical load. I have multiple chemical sensitivities and am extremely sensitive to everything that is not natural. This includes all food additives, anything that goes on your body and anything in the air. All chemicals are neurotoxins and will affect your brain and central nervous system. My blood pressure will shoot up to 190/110 anytime I come into close contact with perfumes, air fresheners, pesticides. Check out the book Detoxify or Die by Dr. Sherry Rogers, or the books by Dr. Russell Blaylock. That’s a killer final paragraph! Here’s a suggestion – why not stop eating grains, sugar & trans-fats, you may find your hypertension miraculously gets better all by itself? 3 years ago I quit snuff cold turkey. I started having HBP symptoms and the doctor told me my body had become reliant on the nicotine to regulate itself and put me on a patch for controlling the HBP. Not only did my BP come back down, but my cravings for nicotine lessened. Over the next 10 days I weened myself off of the patch and have not been back to nicotine since. Very interesting article. Given how many patients I see with hypertension and those on medication this is real food for thought. A question though, given how many people suffer from ‘cardiovascular disease’ and increasing longevity generally across the population is there not an argument to make that ‘prevention’ in the form of controlling risk factors is reducing the number of heart attacks and strokes, thus reducing morbidity and mortality? Jim Healthy-good point. I agree wholeheartedly about glucose and insulin, also improved acute care is a valid point in terms of outcomes. I also agree the evidence for statins is at best, ambiguous. However, regarding hypertension, do you think good BP control has had a significant effect on reducing both numbers of strokes and MIs, as well as overall mortality? Tom – The question is: Are we seeing “good BP control?” In a news release from the recent European Society of Hypertension (ESH) held in London (European Meeting on Hypertension 2012) physicians admitted “We have no idea” what ideal blood-pressure goals should be. The release went on to say that “the ideal number to lower blood pressure to in different groups of individuals, is lacking…” Even more worrisome are reports 50% (and as high as 60%) of diagnosed hypertensives don’t have their blood pressure under control despite taking drugs. Clearly, these drugs don’t work for everyone. This is the “inside secret” that most specialists, but not the general public, know: That blood pressure drugs are not working. One reason is because hypertension rarely presents itself as a lone condition. More frequently it is accompanied by a cluster of co-symptoms, including elevated triglycerides … low HDL cholesterol … accumulated abdominal fat … and chronically high blood sugar and insulin levels. This cluster of symptoms was identified by Dr. Gerald M. Reaven in the 1970s and is now referred to as Metabolic Syndrome. Having Metabolic Syndrome it is the most reliable predictor of impending heart attack or stroke that we currently have, although most doctors continue to overlook it. A review of more than 70 recent studies involving one million patients found that people with Metabolic Syndrome are two to four times more likely to have a heart attack or stroke compared to the general population. , It also increases the risk of Type 2 diabetes by up to 3,000%. The “poor outcomes” Dr. Furberg is referring to can mean a lousy quality of life due to the side effects of these drugs which can include chronic headaches … dizziness … shortness of breath … a nagging cough … fatigue … constipation … frequent urination … weight gain …insomnia … depression … erectile dysfunction … and the list continues. And these aren’t the worst of it. More serious complications include gout … elevated blood sugar (and even diabetes) … congestive heart failure … shortened longevity … and even sudden death. Furthermore, for those with borderline or mild hypertension, reduction in blood pressure by medications alone has not been found to substantially decrease the rate of coronary heart disease. This is contrary to what you doctor may tell you, since one of the primary goals in controlling hypertension is to reduce your risk of a heart attack or stroke. One widely recognized nutrient-mugging that occurs with blood pressure meds is the depletion of coenzyme Q10 (CoQ10). Its main job is to help convert your food into adenosine-5′-triphosphate (ATP), which is the life force that animates us. The highest concentrations of CoQ10 are found in muscle cells, particularly the heart muscle. A randomized double-blind study published in the European Heart Journal (September 2007) found that CoQ10 supplementation (100mg three times daily) improved blood flow to the heart by relaxing blood vessels in patients with coronary artery disease. Recent research also supports this heart-healthy benefit in diabetics. Drugs should be viewed as a temporary measure that can bail you out of an emergency situation. If your blood pressure is dangerously high, for instance, taking a drug until you get your numbers under control not only makes sense – it could save your life. But you shouldn’t consider the problem solved by any means. Rather, you should use your “close call” as motivation to uncover the underlying cause of your elevated blood pressure, so you can correct it. Hypertension drugs are like your car’s spare tire. It’s there to get you out of a jam, not for permanent use. Remember that hypertension rarely presents itself alone and is often a symptom of other health problems, such as insulin resistance, sick arteries, a poor diet, or a sedentary lifestyle. Consider your elevated blood pressure to be a wake-up call and begin investigating what’s causing the problem, along with the diet is lifestyle steps you can take to correct it. The Journal of Internal Medicine published a study that demonstrates that these “expanded concepts of high blood pressure” (that’s a cute euphemism, isn’t it? ), result in many people receiving drugs they don’t need. Mind you, this is a respected medical journal connecting the dots. The researchers studied 20,000 people, using “pre-hypertension era” data to determine if people at the new borderline category were really at risk. The evidence confirmed they weren’t. For people under the age of 50, the researchers found that a systolic reading could reach as high as 200 before there was a genuine health risk. And, for the diastolic reading, any number under 100 was acceptable. For those older than 50, researchers didn’t note any health risk at all until a diastolic pressure of 140. This study confirms that the “imminent danger of prehypertension” is a lot of baloney. As the physicians of yesteryear realized, blood pressure is an individual thing. What may be high for one person may be just fine for another. We are not, after all, machines. Unfortunately, when a doctor tells a person that his or her blood pressure is high and requires drug treatment, most people comply without question and stoically suffer the resultant side effects. And that’s just what the drug companies want people to do, despite the opinion of many independent experts that there is no credible scientific evidence which supports the new guidelines for “prehypertension” and its treatment. Dr. Alderman emphasizes the absence of any new scientific evidence to support the NHLBI claim that artery damage and an increased risk of heart disease begins at blood pressure in the new prehypertensive range. And in a research paper presented at the American Stroke Association’s 29th International Stroke Conference (in February, 2004) entitled “Prehypertension Is Not a Stroke Risk Factor,” attendees received an analysis of data from the National Health and Nutrition Examination Survey (NHANES I) showing that people defined as having “prehypertension” according to this new blood pressure category, do not appear to be at increased risk of heart attack or stroke. Indeed, the new prehypertension category was criticized as having created a new “disease,” with consequent and needless anxiety for the public. The older you get, the more likely your blood pressure will rise, especially the systolic (top) number, due to hardening of the arteries. But this isn’t necessarily something to worry about because it’s normal for arteries to lose a certain amount of their elasticity with age. Before the advent and influence of Big Pharma, most physicians knew this and weren’t really concerned about elevated blood pressure in the elderly (except in extreme cases). I’ll discuss this further a little later on. In fact, rising blood pressure is so common with advancing age, that one is tempted to consider this normal. For instance, in the famous Framingham Heart Study, hypertension eventually developed in more than 90% of the participants who had had normal blood pressure at the age of 55 years. So why in the world are doctors so intent on aggressively forcing down the blood pressure of the 60-year-old patient until it mirrors that of a 21-year-old (especially when you consider the numerous side effects that blood pressure drugs can cause)? Could it possibly be that doctors are overly influenced by the pharmaceutical industry which stands to profit from sales? I’ll let you draw your own conclusions. Then there is the red herring of “the sodium threat” – but I’ll allow Dr. Briffa address this, if he so chooses. side effects, but then their risk of stroke or heart attack is not the 1 in 32, but much higher. I think it’s a very strange perspective to say that avoiding one stroke in 32 men over 5 years is a “slim benefit”. It’s a HUGE benefit. Well, I suppose it’s all a matter of opinion. My impression is that many patients (and their doctors) imaging that taking blood pressure meds provides considerable immunity from stroke and is beneficial to a significant percentage of people who take them. Yes, this statistic shows that over 5 years, about 97 per cent of men will not be benefitted in terms of protection from stroke. Trust me when I tell you that the vast majority of people, when made aware of these statistics, regard these benefits as way less and much ‘slimmer’ than they would have imagined. JimHealthy-great post, thanks. Lots of interesting points made and I appreciate the references. It’s interesting that you mention Metabolic syndrome. The approach I take with my patients (I’m a GP, or ‘Family Physician’) is exactly that you describe of approaching their health as a whole-so instead of being fixated on numbers such as LDL/HDL or BP, I advocate a range of lifestyle measures involving exercise, diet, smoking cessation, reduction in alcohol intake, weight reduction etc. I also put an emphasis on making changes that make one ‘feel’ better. The difficulty I face in my profession in the UK is we are very guideline-driven under the auspices of NICE mainly, amongst others. The point you make about the medicalisation of populations is also true, the classic being statins and increased pressure to prescribe these to younger and younger patients. For what it’s worth, I tend to encourage patients to take a holistic, lifestyle approach for 6-12 months to address raised BP or a poor lipid profile, again stressing that general improved lifestyle is the crucial change. A final point about hypertension target levels-an eminent BP expert in the UK once told me that there is no lower target to aim for, because they think ‘the lower the better’ in terms of reducing risk. The text reads as an extract from a book, your own?